Thank you for visiting our web site. 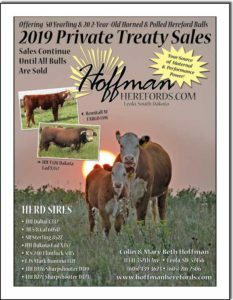 The Hereford breed has been a part of our family for over 90 years, and we are once again offering horned and polled Hereford bulls for sale private treaty this year. Click here to download the initial draft of our sale catalog. Due to the extreme cold, snow and blustery weather, we started work on the catalog prior to clipping. 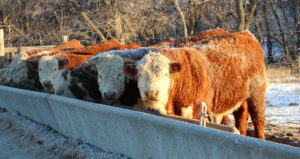 We have more than 50 yearling and 20 2-year-old Hereford bulls for sale. These pictures were taken in December. The bottom shows our yearlings, and the 2-year-olds are pictured just below. 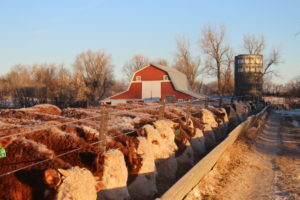 We welcome your visits to view the cattle, as well as your phone inquiries. Colin can be reached at 605-216-7506 or 605-439-3623. We appreciate your interest!